smother indigenous vegetation. Periwinkle is poisonous to livestock. A range of strategies is needed to minimise the impacts of periwinkle on biodiversity and to prevent it from spreading. In regions where numerous infestations exist, areas of high biodiversity significance are the priorit. 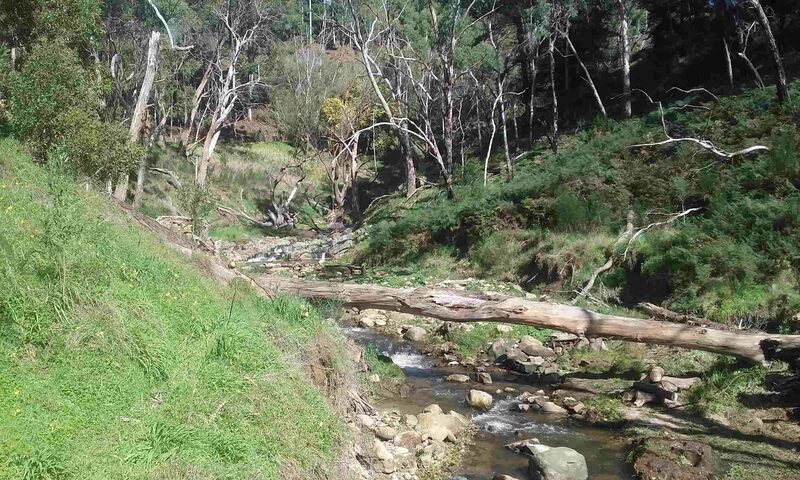 In selecting the most suitable control techniques it is essential to minimise adverse impacts on native vegetation and waterways and to encourage subsequent recovery. Physical and chemical control measures may be combined to remove patches of periwinkle effectively. All treatment needs to be followed up and may need to be repeated. There are no known biological control agents for this species in Australia. 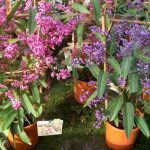 Native Lilac Hardenbergia violacea is an attractive climber or shrub with trailing and twining stems. It has dark green leaves, clumps of bright purple pea flowers in winter. Uses: climber, small shrub, feature pot plant. Sheltered positions. spring. Female flowers turn to fluffy seeds, late spring.